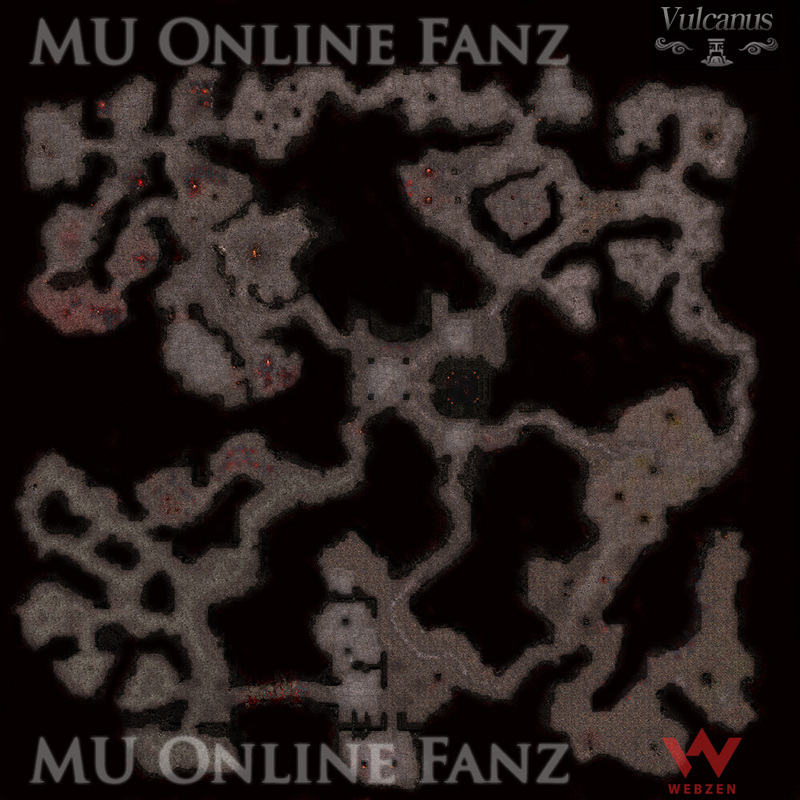 Vulcanus <+> [MU Online Fanz] <+> Official 3rd-party [MU Online] Fan Site & Game Guide! [Vulcanus] is a rocky, volcanic wasteland. This [Map] is an exclusive [PVP] area where players won't gain a [PK Status] for killing another player! You can also host or watch friendly battles, in this [Map], at the [Duel Arena]! In the battle-field, you can fight opposing [Gens Members] in order to gain [Gens] [Contribution Points]. This [Map] can only be entered via [Warp Command]. Requires [Character Level] [Level 300] to [Warp]. In order to access this map, the character must be a [Gens Member] of any [Gens]. Any character will not gain [PK Points] after killing any player. If any character is killed by another character, with or without a [PK Status], there is no chance to drop items on death. Characters of an opposite [Gens] will gain [Gens] [Contribution Points] after killing the other player. Characters of the same [Gens] will lose [Gens] [Contribution Points] after killing the other player. Characters that die from a [Gens Member] of an opposite [Gens] will lose [Gens] [Contribution Points] after being killed by the other player.